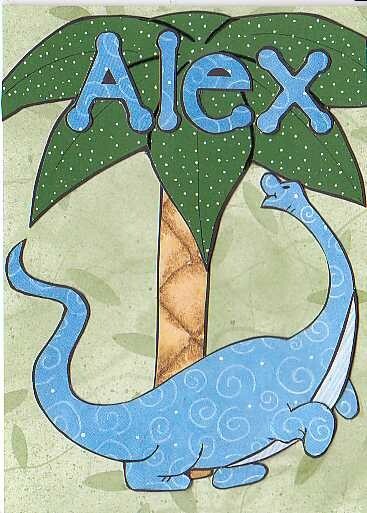 A happy blue dinosaur brings a cheerful birthday greeting. I made this card for my grand-nephew's birthday, but it could also be used as a get well card. Card blank 6.5" x 5"